I had a relaxing night of Pretty Little Liars, brown rice, and Weight Watchers ice cream. I guess to some that combination sounds scary, but to me, that's heaven. It's funny, even after being graduated from college for over two years now, it still amazes me that I can come home and not do homework. It's all about the little things in life. Not a Fashionablecollections twitter follower? Well you're missing out! Today I tweeted my latest listings to Copious.com. Check out some of what's for sale below (the prices are underneath the items). Get yourself some fashionable goodies at my copious page. Some things have been severely discounted, so be sure to check it out. Purchase more than three items and I'll refund you the shipping. 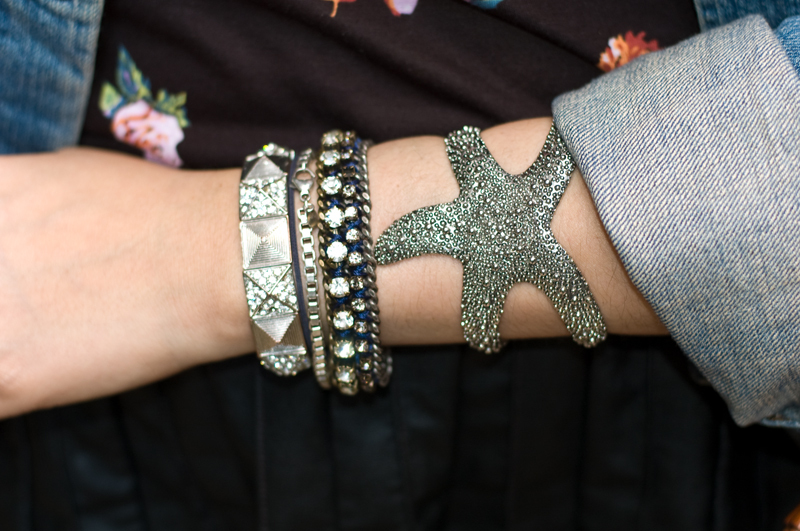 that starfish cuff is the coolest, i LOVE it! it's definitely the star of your beautiful arm party! You look great, I like how you styled your outfit! I really love the skirt, the pleats just make it. I am holding a giveaway on my blog if you are interested in checking it out. The denim jacket looks fantastic! i love the pleated leather! Love the outfit! I also have that exact free people skirt, it's my favorite! Loving everything about this outfit. cute outfit! love that skirt! Love the jacket and your lipstick color is gorgeous! I love denim jacket. I summer I wear them daily...at night of course! stunning skirt! love those tights! Love thw skirt and the shirt! LOVE that bag! 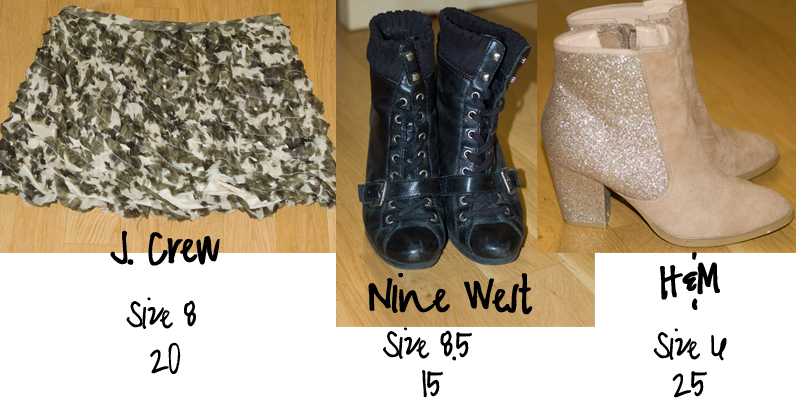 And great finds from Nine West and H&M! I love love love that starfih cuff, I have it in gold!!! Love your skirt darling, you look stunning ! wanna follow each other on facebook and twitter ? stop by me, I would love us to be friends! Love the color and texture of this look! I am in love with your skirt! You styled it so well too! Would you like to follow each other? I'd be very honoured! Love that top+denima jacket combination!!! 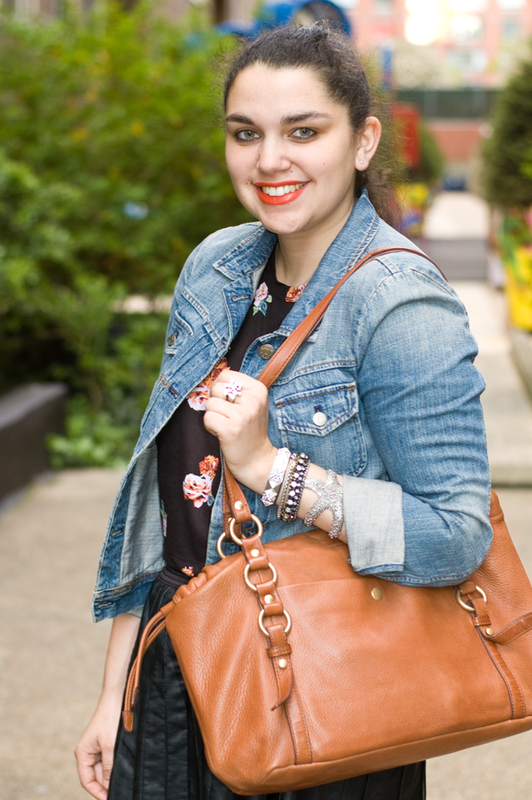 WOW, Looks pretty :D Lovely blog..
You look fantastic, love that bangle! Love your look, so chic and edgy at the same time because of the denim jacket! I'm also a big fan of PLL but I missed the last few episodes, I should do a night in and catch up!